27apr6:30 pm9:30 pm2nd Annual Gala of Lights! 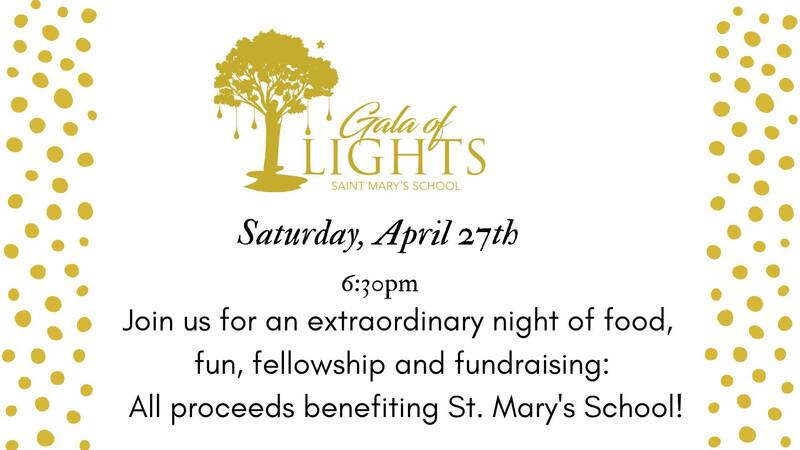 Join us for an extraordinary night of food, fun, fellowship and fundraising: All proceeds benefiting St. Mary’s School! Plenty of craft beer and wine available for purchase!